On 21st August 2017 millions of sky-gazers in the United States had gathered at the sites from where this rare event of total solar eclipse could be watched clearly. On the occasion of this unique event, many people had arranged parties and gatherings and some also got married. The total solar eclipse occurs very rarely, it is a phenomenon when the Earth’s satellite, Moon, comes in between the Sun and Earth covering the sun rays completely and it gets totally dark for a few minutes in some areas of the world. On a normal sunny day, when the Sun is shining at its zenith, maximum solar power produced in California state is in the range of 10,000 Megawatts. But this power generation got disrupted on August 21 due to the total solar eclipse. 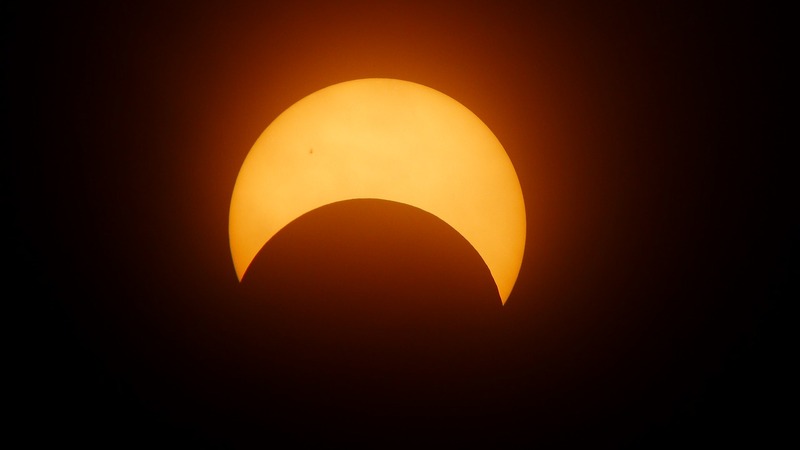 The total eclipse started in Oregon at 10:16 am PT and ended in South Carolina at 2:49 pm ET. That is one and the half hour travel from coast to coast. But at any place, the effect was in the range of two plus hours from the time the sun started getting partially covered to the time it started shining again. This necessarily means a great loss in solar power. During the eclipse, fourteen states in the United States experienced a total darkness for about two minutes. The power grid managers from states like – California, North Carolina, and Utah which rely heavily on solar power generation had been planning for this event for over a year. It is not only the sunlight loss but the temperatures also plummeted during this time and increased the burden on the air conditioning system and in turn caused a surge in power demand. The power output in California dropped by 3400 megawatts during the solar eclipse, as per the data released by California Independent System Operator (CAISO).